As fathers, we all carry a burden of regret and second-guessing, especially when it comes to our sons. Were we tough enough? Or, too tough? I worry about what I did, or didn't do, to my own son and I often think of my father's handling of my own upbringing (full confession: he grows taller every time I look back at the stubborn Norsky). 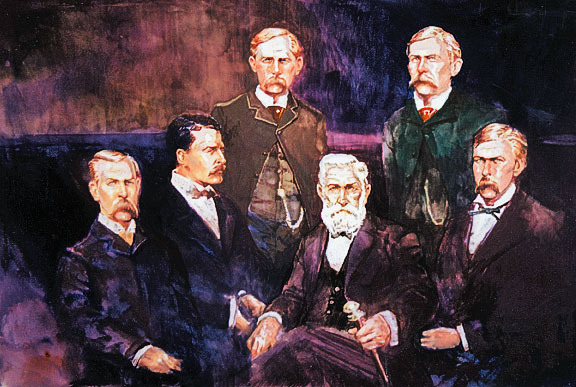 So, it is with some empathy that we look at the early life of Wyatt Earp and his brothers. Thanks to the scholarship of acclaimed author, Mary Doria Russell, we now know those Iowa boys had a pretty rough upbringing. 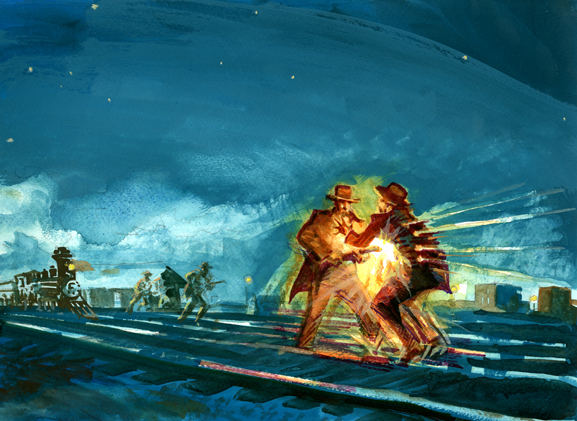 What kind of father created The Fighting Earps? The Genesis of "Sins of The Father"
I wanted to see if we could approach the legendary Vendetta Ride from another angle and I asked Mary to get inside the family dynamic and find out if there are any clues to account for the outburst of violence that drove Wyatt around the bend and stained Cochise County after the killing of his favorite brother, Morgan. "In 1864, an irascible 52-year-old Nicholas Earp proclaimed himself a wagon-master and offered to lead a group of Iowa emigrants to California. Sarah Jane Rousseau kept a diary throughout the seven-month trek and she has left us glimpses of the father who raised the famous Fighting Earps. "It's not a pretty picture. Mrs. Rousseau describes Nicholas Earp as a man whose reaction to backtalk was volcanic. 'It made him awful mad and he was for killing. He used very profane language and he could hardly be appeased.' Disagreement was an insult and would set off an hour-long tirade with threats to abandon the emigrants in the wilderness for their opposition. There was discussion of the role 'too much liquor' played in his temper. "On November 24, Mrs. Rousseau gave us a direct observation of Nicholas Earp, the father. "This is not the strict but ethical paterfamilias played by Gene Hackman in “Wyatt Earp.” Nicholas Earp beat his sons. He cowed and terrified his wife and daughters. He always had some dispute going with their neighbors. He repeatedly packed up his family and moved on, to escape unpaid debts." 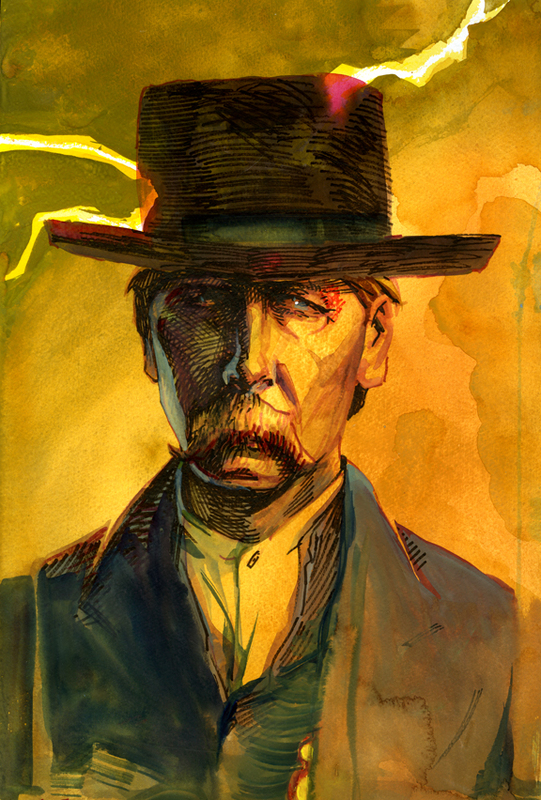 And, so, to paraphrase Ms. Russell, Wyatt Earp grew up trying to be a better man than his father. Mary's piece, "Sins of The Father" will appear in the April issue of True West, along with the True Story of the Vendetta Ride, which, as it turns out, is what happens to the Iowa boy who fought his more violent urges until his favorite brother was shot dead, from behind. Daily Whip Out: "Frank Lit Up Like A Christmas Tree"
Daily Whip Out: "The Horse Thief"
Leaving us with a better understanding of what made him tick. Daily Whip Out: "A Damaged Man"
Widely praised for meticulous research, fine prose, Mary Doria Russell is the award-winning author of six bestselling novels, including the science fiction classics The Sparrow and Children of God; the World War II thriller, A Thread of Grace; and a political romance set in 1921 Cairo called Dreamers of the Day. 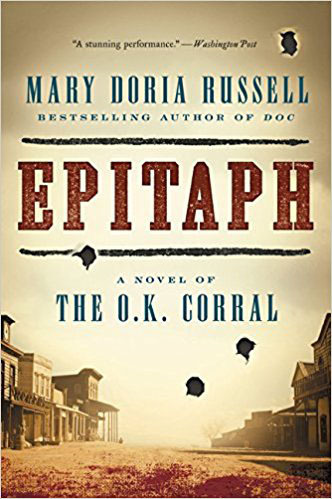 With her latest novels, Doc and Epitaph, Russell has redefined two towering figures of the American West: the lawman Wyatt Earp and the dental surgeon Doc Holliday. The daughter of a sheriff, Mary grew up with cops and guns but also holds a Ph.D. in biological anthropology from the University of Michigan and taught anatomy at the Case Western Reserve University School of Dentistry. 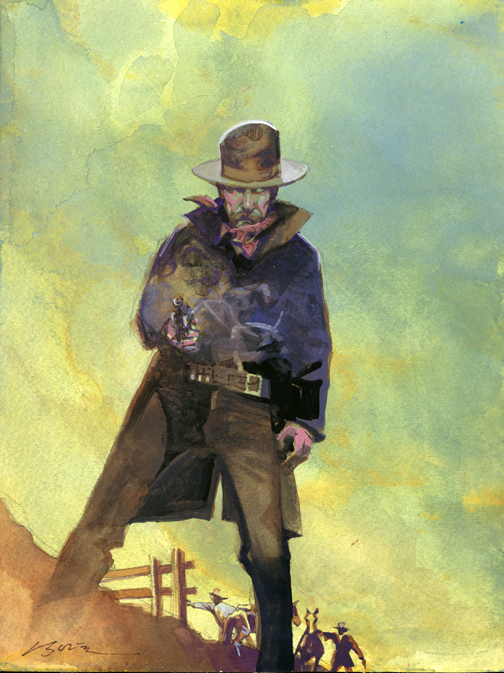 I grew up in Dodge City, Kansas and thought I knew quite a lot about the Earps, Mastersons, Bob Wright (I worked for his son while I was in college. ), etc. "Epitaph" lit up a lot of corners that had been dark before this book.